Great to have Chris Clarke (CEO of World Vision NZ) back with us this Sunday (June 25). Chris will be speaking at all three gatherings. Congratulations to those involved in the 40 Hour Famine. I think the most I’ve heard one person raising this year is just under $4000. Fantastic work Izaac! This Sunday (June 25) I want to catch you up on our Keep Active programmes. Two years ago Carol Hides started a new programme at our Balcairn St site. This has now grown to five programmes a week plus the two programmes at our Lyttelton St site. The Living Room (Te Whare Manaaki) is taking shape and the first two weeks have been great. Give it a try this weekend. If you would like to be part of the teams who provide food, coffee and hospitality on Sundays please email Jasmine at jbates@swbc.org.nz . Next Sunday night (July 2) a team who have recently travelled to the Cook Islands to research food, art and culture will be selling hot food, Cook Island donuts, coffee and more after the 7.00pm gathering. It was great to share our plans for Christmas for the City last week – don’t forget to check out the website: christmasforthecity.org.nz and Facebook page: facebook.com/christmasforthecitychch. Next weekend (June 30) we have a very special prayer event – ‘Let’s Pray’. This is a 24 hour open prayer time that you can come to for a few minutes or a longer period. I hope you can be part of it. I sense we are at a stage in our church’s journey where prayer is crucially important and setting aside a day to pray and seek God is the best step we can make. Let’s pray that “freedom will reign in this place” and God will lead us and renew us. 33 days until our next Alpha course begins… International people and their family and friends are invited to Elgregoe! Come and hear from Peter & Lynley Capon – they’ve recently returned from Thailand. Prayer – Our love and sympathy to John & Jo Robertson and family on the passing of John’s mother.Mercy Basket – Our cupboards are empty of the following: Canned fruit, tuna, peas, pasta sauce and long life milk. Thank you for all your generous donations that are truly appreciated, Sheryl.Love and Forgiveness – Like the woman who washed Jesus’ feet with her tears (Luke 7:36-50), as we allow ourselves to receive more of the fullness of the forgiveness we have through Christ, we come to know at an even deeper level the love of God. Come along to the Ellel Ministries Worship and Healing Meeting and open yourself up to more of God’s love through worship, testimony, a brief message, fellowship and brief individual healing prayer. Next Wednesday (June 28) at St John’s Church, Ferry Rd, Woolston, 7.30pm – 9.00pm. Project Esther have a team leading the Church Service at the Woman’s Prison on Sunday July 2. Please pray for them and those attending this service, that they will know the love, comfort and grace that only comes from Jesus. Membership Certificates – If you were part of the group welcomed as new members and haven’t picked up your certificate, then please visit the Info Centre on Sunday to collect it. Let’s Pray – As we conclude our ‘Hello…’ series on prayer we will be creating an open space for prayer, from 6.00pm Friday June 30 until 6.00pm Saturday July 1 at our Lyttelton Street site. There will be a variety of spaces to pray both for your personal journey and for different parts of the church and community initiatives. Join us, as you are able to over the 24 hours, as we pray for the life of our church. Next Discovery Lunch July 23 is for those new to our church. If you would like to come along and hear about the church, places to belong, learn, grow or to contribute, please leave your name at the Info Centre or email Si Hart at newcomers@swbc.org.nz. Arcoroc Mugs Required – If you have any to spare please leave these at the Info Centre on Sunday or Reception during the week – our supplies are running low. Thanks, Sheryl. Keep Active Halswell – Wednesdays from 9.30am. Come and join us if you are new to exercise or haven’t exercised in a while and are wanting to get back into some movement. Classes are circuit based so you can work at your own level. We also throw a bit of fun into the mix. Two weeks on, one week off due to the Foot Clinic. $4 per session includes cuppa and a chat after class. Healing Rooms invites you for prayer at 248 Lyttelton Street on Monday July 3, from 7.30pm. For more info contact Karen 338 4163, or email healingrooms@swbc.org.nz. Women’s Event – July 22 from 7.00pm – 9.00pm at our Lyttelton Street site. The Changing Room – a divine exchange – a night of worship, inspiration and conversation for women. Please bring a plate of something yummy to share. Toolbox Parenting for Tweens & Teens Starts Tuesday August 8 for 6 weeks. 7.30pm – 9.30pm in The Living Room. Cost $75pp or $110 per couple. For more information or to register contact Lidwina on 027 274 1686 or email lclarke@swbc.org.nz. Marriage Preparation Course for you and your fiancée, 5 Wednesday evenings from August 16 with the well-presented DVD series by Nicky & Sila Lee. Cost $120 per couple (includes “Prepare” questionnaire and manuals). For more info and registration forms contact Murray & Janine Close 338 3608 or email meclose6@gmail.com. Registration forms can also be downloaded from the church website. Thursday July 6 – 10.30am at The Living Room. Coffee Morning Bring & Buy “COW” Table with produce from our garden. Monday July 17 – 12.30pm – 2.30pm at our Balcairn Street site. Make Your Money Go Further with Janelle Butcher. Potluck lunch bring some food to share. 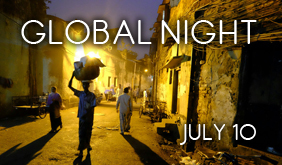 Our next Global Night is on July 10, 7.30pm in The Living Room. Peter & Lynley Capon will be speaking about their time and work in Thailand. Baptist Mission Fellowship meeting Tuesday July 4 at 1.30pm with Peter and Lynley Capon – Tranzsend workers from Thailand. The meeting will be held in the recreation centre at Archer Memorial home. This is to farewell them after 15 years working in Thailand. Please bring along used stamps to be collected for mission funds. The monsoon season has begun in India. 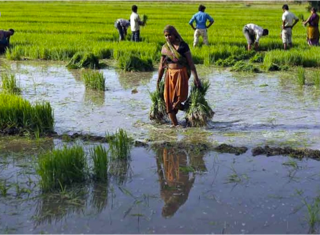 The rains bring a welcome drop in temperatures, as well as providing nourishment for the farms around the country. The amount of monsoon rains has a marked effect on the quality of the harvest and the prosperity of those who live in the country.Pray for those in India who have moved away from the countryside to seek work and income in the cities. Many of them live in slum communities and struggle to find work. Pray for opportunities for good work and education. Many girls and women in India are vulnerable both in the country and in the cities. Pray for a change in the culture so that girls are valued and women are treated with dignity and respect. Prepare for Sunday’s message with our Daily Readings. Connect in with your local community – contact Si Hart to find out more. Contact Lidwina to register for Toolbox’s Parenting Tweens and Teens course.